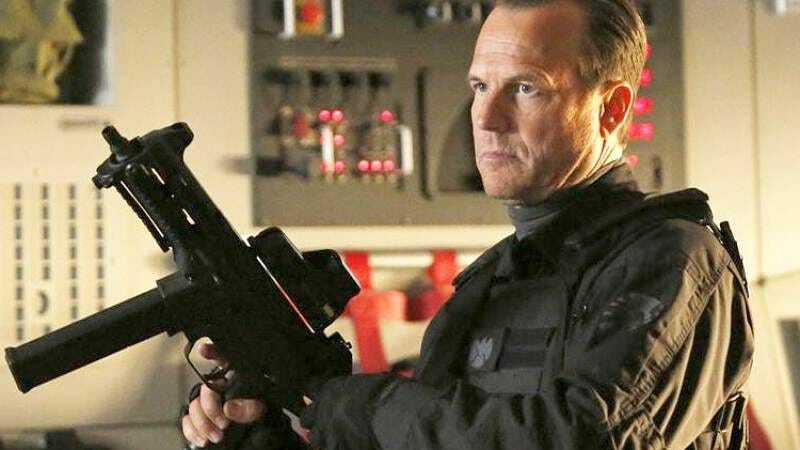 Bill Paxton on Marvel's Agents Of S.H.I.E.L.D. Not since 1986’s Aliens has Bill Paxton had such a prime opportunity to yell, ”Game over, man. Game over!” as Deadline reports that the actor has joined the cast of a BBC Two drama about the rise of the Grand Theft Auto video game series. When last we reported on this story to announce Daniel Radcliffe’s casting as Rockstar Games co-founder Sam Houser, the name of the project was also Grand Theft Auto, though it seems the BBC may have realized that’s not the best plan for people trying to find their film via a Google search. He got Howard Stern kicked off the radio and took on 2 Live Crew… There’d be a gag order and he’d still go on talk shows. He would write these hateful letters to people he was litigating. He just got too emotionally caught up in it. Shooting on the film begins next week in South Africa. Directed by Owen Harris (Black Mirror, Kill Your Idols), the film will almost certainly be the most interesting property involving Grand Theft Auto since actually playing Grand Theft Auto.